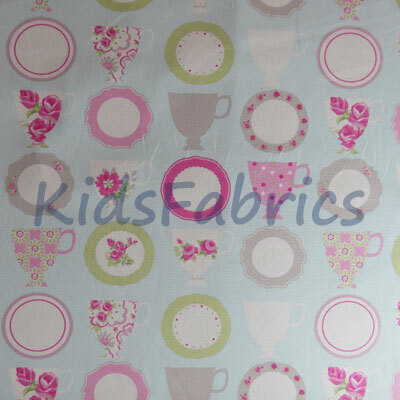 Fabrics for the tea time table. 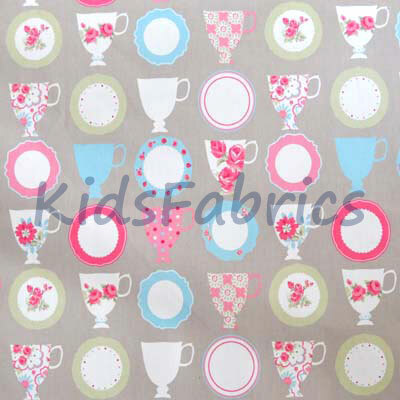 Designs of cakes, tea cups, saucers and tea time treats in, pink, marmalade, marshmallow, brown and aqua. 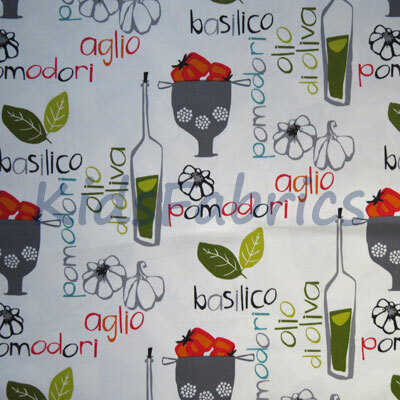 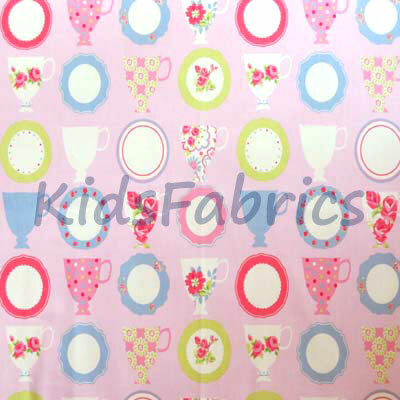 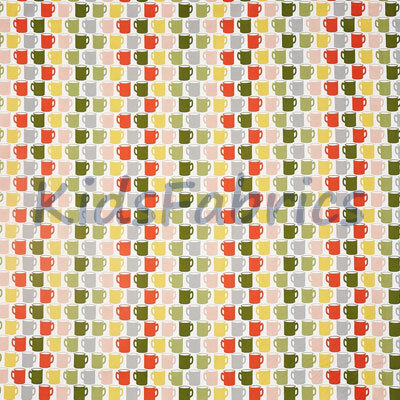 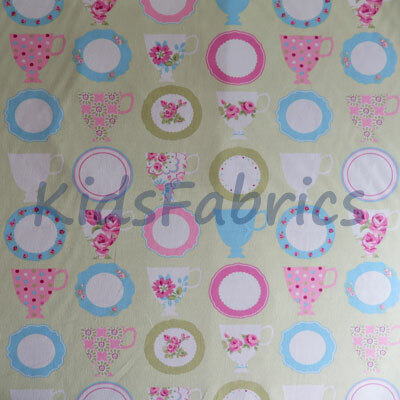 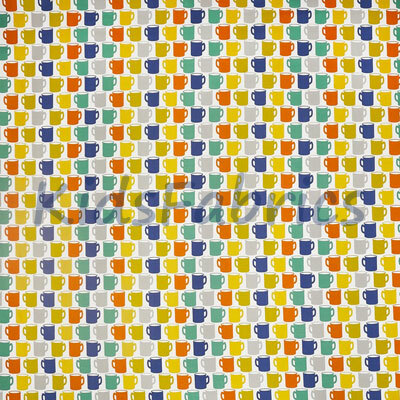 Kids furnishing choice for girls rooms and for the kitchen in 100% cotton with some PVC fabric options available.